Until very recently, closing down solar factories had become a normal occurrence, a natural result of the worldwide glut of solar equipment. But now that trend is starting to reverse, and the latest evidence comes from solar cell maker SunPower (s SPWR), which on Wednesday said it plans to actually increase its solar cell production capacity by 25 percent, or 350 MW. The Silicon Valley company plans to build out the new factory at a pre-existing manufacturing site in the Philippines and start production in 2015, said CEO Tom Werner during a call to discuss the company’s third-quarter earnings. 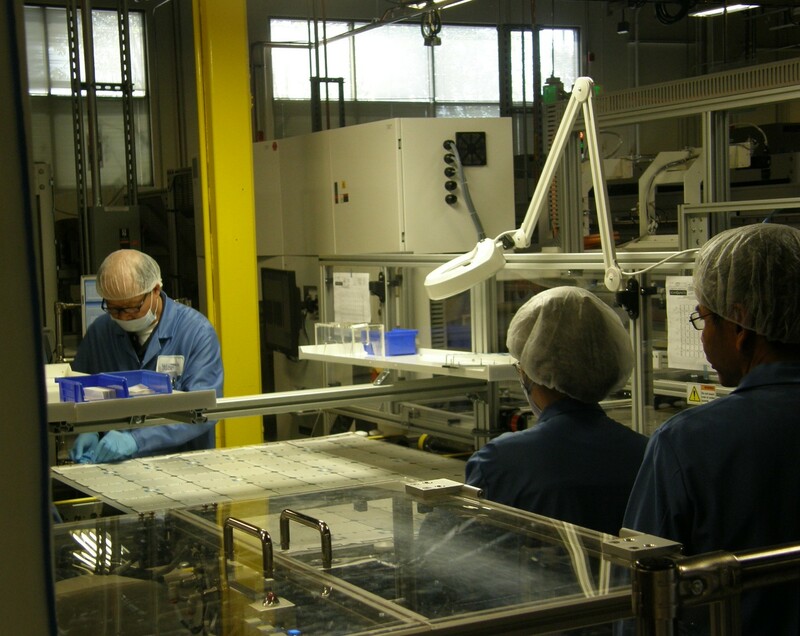 With the new factory, the company will have about 1.8 GW of solar cell production capacity. And in fact, demand for SunPower’s solar panels has been so strong as of late that the company has been running all of its factories fully over the last two quarters. It was only last year when the company shut down a 125 MW solar cell factory in an effort to cut costs and minimize the financial losses it had suffered for many quarters before that. SunPower has been among the dozens of solar manufacturers worldwide who have closed factories, or worse, filed for bankruptcy in a downward spiral that began in earnest in 2011. First Solar (s FSLR), which is reporting its third-quarter earnings on Thursday, also took on a major restructuring of its business to deal with a market over-filled with solar panels with plunging prices, particularly those from China. Signs of a recovery began to crop up earlier this year. SunPower did well financially in the second quarter of this year and again in the third quarter. It reported $657.1 million in sales and $108.4 million in net income, or $0.73 per share, for the third quarter, up from $648.9 million in sales and $48.5 million in losses, or $0.41 per share, in the year-ago quarter. The company not only makes solar cells and assembles them into panels for sale through a network of distributors, it also develops and builds solar power plants around the world. SunPower is building a few large projects in California, including a 579 MW project for Mid-American Solar and a 250 MW for NRG Energy. The project for NRG Energy, called California Valley Solar Ranch, is scheduled for completion this quarter. SunPower also raises money for financing leases that its network of installers can market to homeowners. The company raised $155 million during the second quarter from two undisclosed investors for its solar lease program in the United States. It also signed a deal with Digital Federal Credit Union to provide up to $100 million in loans to U.S. homeowners for pay for SunPower’s solar equipment. Japan, which launched a solar incentive program this year, has been a good market for SunPower, which sells its solar panels through Toshiba and Sharp. SunPower’s panels are more expensive but also can convert a greater percentage of sunlight into electricity, a trait that proves a good fit for rooftop installations. The company has between 10 percent to 15 percent of Japan’s residential market, said Howard Wenger, head of SunPower’s global business development and power plant construction. The company also recently signed a deal with Shimizu to sell panels for a 69 MW power plant project in Japan. SunPower is particularly proud of a 70 MW power plant project in Chile that it just snagged with the help of its parent company, French oil and gas giant Total. Werner said it’s the largest merchant photovoltaic power plant in the world — electricity from the plant be for sale on the spot market rather than via long-term contracts. The project is a proof that solar electricity’s wholesale pricing could be competitive with power from conventional sources, he said.